It was a busy day for Phil Smith though. 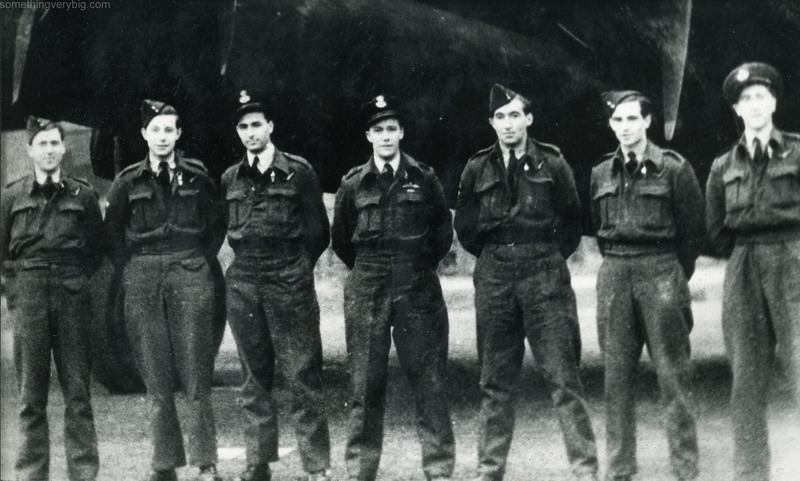 Not only did he officially assume command of ‘A’ Flight from the outgoing (and promoted, since the last time we saw him) Squadron Leader Forbes today, in the afternoon he presented a lecture to the aircrew of 467 Squadron about Bomber Command tactics and he was also detailed, along with his crew, for a practice bombing flight after that. Later in the evening, the Officers’ Mess hosted a “merry” going-away party for Bill Forbes. And elsewhere, the Mosquito light bombers were out again. Twelve aircraft went to Essen, nine to Duisburg, and two each to Aachen and Koblenz. One failed to return from Essen but all others came home safely.